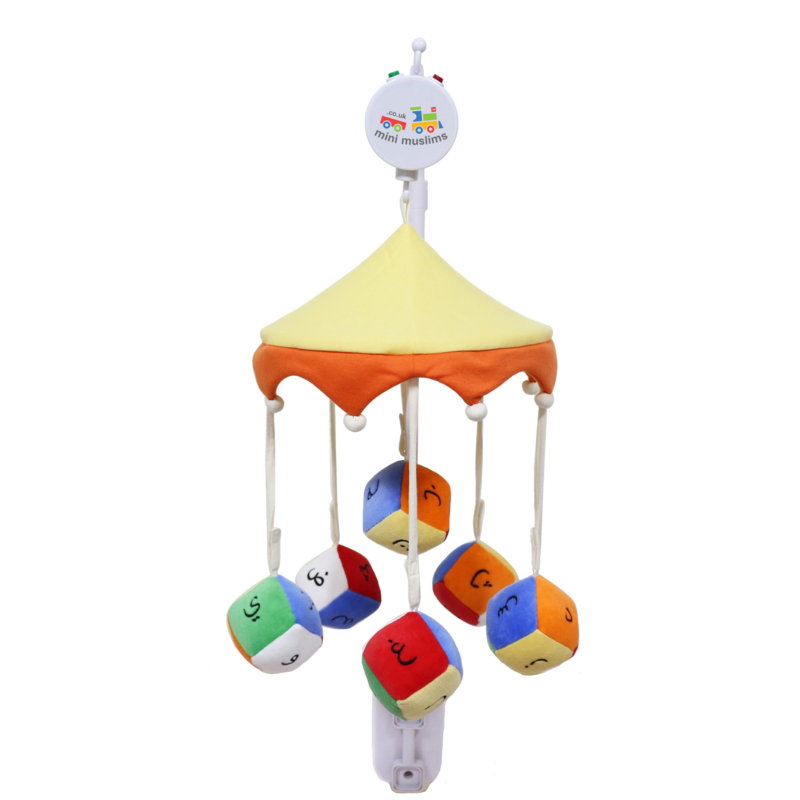 The MiniMuslim cot mobile is designed to entertain and stimulate babies and toddlers using a combination of verses from the Qur’an, rhymes and supplications. 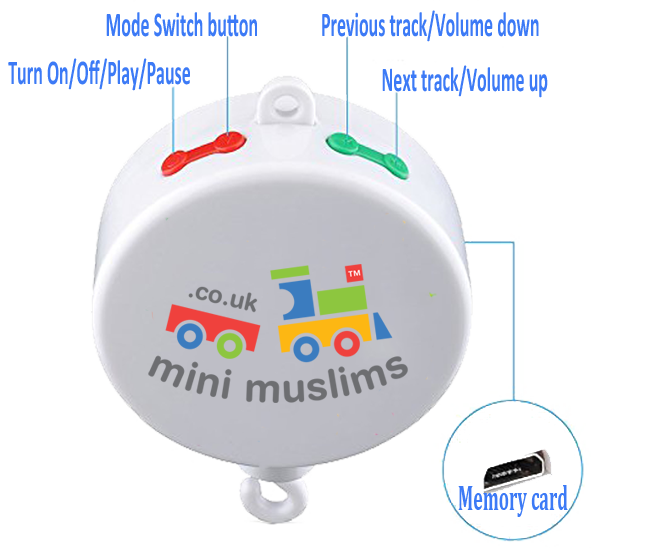 Due to it’s unique design, the MiniMuslim mobile comes complete with a ‘disable’ motor button, allowing your mobile to remain static whilst still playing your chosen sound. Enjoy the complete control you want through this state of the art updateable unit with independent volume, track and mode controls! You guys are doing an amazing job MashaAllah. 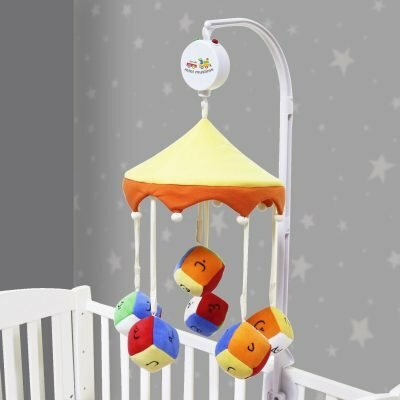 Just received my cot mobile & I really couldn’t wait to put it up. Alhamdulillah it’s amazing. 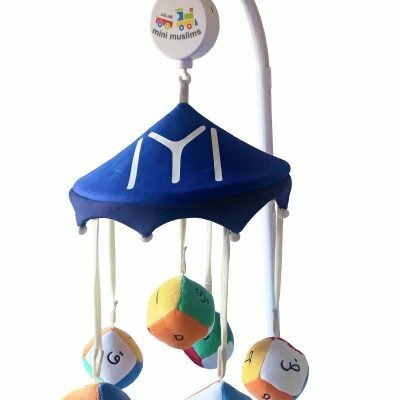 I’m so in love with this cot mobile, the mobile is amazing & it has become part of our bed time routine. My baby falls asleep with it every night. 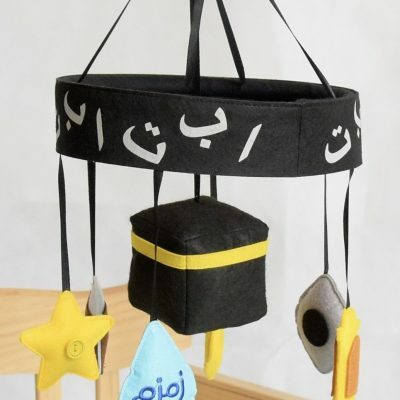 What better way to put your children to sleep than listening to the Qur’an. It also has features to update the memory card. Bed time has never been easier, I highly recommend this. Welcome! 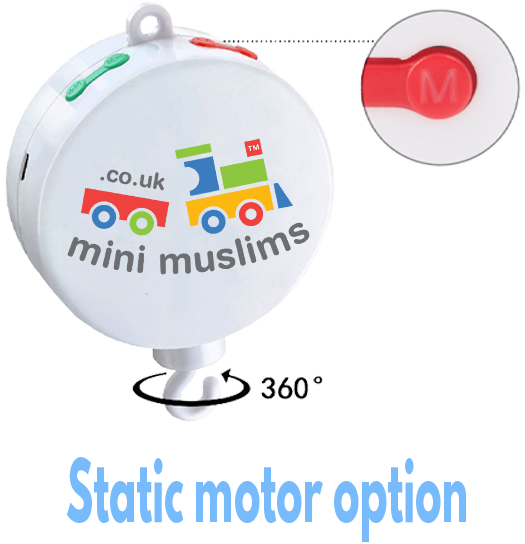 You have successfully joined Mini Muslims! !